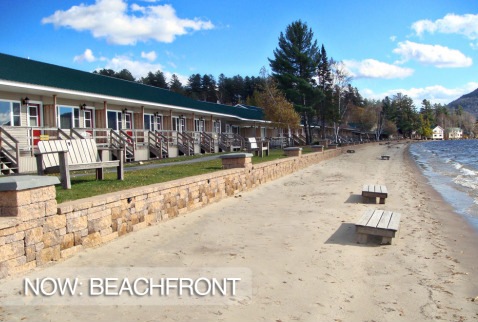 Over the years CAMP-of-the-WOODS has undergone many changes, from its humble beginnings in 1900 as 'Camp Iroquois' on the shores of Lake George, to today's 90+ acre family resort located on beautiful Lake Pleasant. Complemented by a 1,400 foot natural beach, a 1,300 seat auditorium, a state-of-the-art sports complex, tennis courts, a challenge course, climbing wall, zip-line, and much more, CAMP-of-the-WOODS strives to make each guest's stay a time of spiritual growth, relaxation, and recreation. 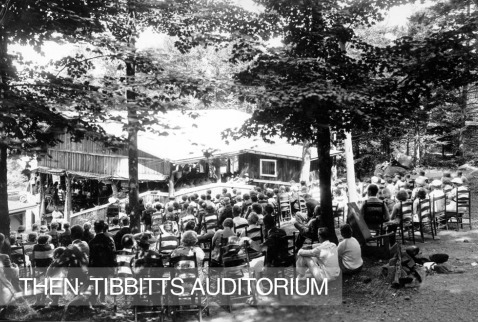 Since its founding in 1900 by George 'Pop' Tibbitts, CAMP-of-the-WOODS has provided an environment where families, individuals and groups can focus on Jesus Christ. 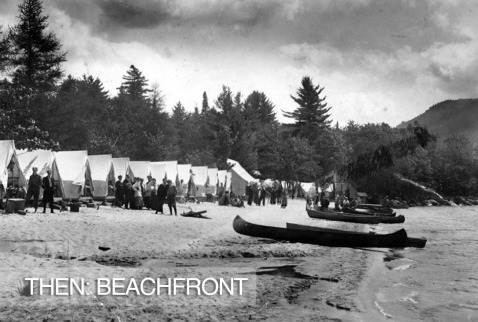 Now over 100 years old, CAMP-of-the-WOODS continues to minister to individuals and families. 'Pop' Tibbitts founded and served as director until his death in 1948. Gordon L. Purdy and Don Purdy then succeeded him in that role for many years. Norm Sonju served as Chairman of the Board and CEO of CAMP-of-the-WOODS from 1997 until he handed the CEO reins over to Jim Hammond on August 1, 2005. Norm continued to serve as Chairman of the Board until his retirement in the summer of 2018. 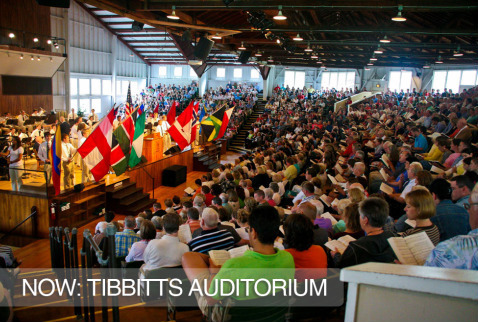 The Lord has truly blessed this ministry with these godly leaders who desire to honor Him through CAMP-of-the-WOODS.